The right farming equipment at the right price does not mean sacrificing quality tools for savings on price. Blue Diamond supplies a range of farming tools and machinery that deliver on high performance and reliability all at a fraction of the cost of bigger brands. A reliable water pump is a critical component to any fire protection plan and something no farm can afford to do without. Blue Diamond's exclusive range of Honda pumps are consistently popular options, including the high performance 40MM Honda Fire fighter 5.5HP pump. The Blue Diamond brand is also a popular option for those demanding high performing machinery at an affordable cost. The BD 50mm petrol fire fighter pump is a reliable and economical option, featuring a 7HP engine in a light cast aluminium frame. The Blue Diamond diesel 40MM fire fighter pump is a more powerful option, featuring a 10 HP engine and 350L/Min flow rate. A mobile air cooler is an inexpensive and efficient way of cooling large areas to ensure a comfortable and safe work environment. The Blue Diamond large mobile evaporative unit is a simple to use, heavy duty air cooler capable of cooling 150m2. Able to be operated manually, by remote or on a 72 hour timer, this unit also features multiple speed settings and is built with a steel wheeled frame for maximum portability. Generators are a farming necessity whether it's for mains power backup or getting power to off the grid areas. Blue Diamond offers a range of petrol and diesel generators for industrial and general use, all at competitive prices. The Blue Diamond Trade Series BDP9000 is a popular generator for farmers looking for a dependable and cost effective solution to their backup power needs. This 9 KVA portable generator is powered with a Johnson Iron Horse 4 stroke petrol engine with a 28 Litre fuel tank providing up to 8 hours of continuous runtime. The casing is heavy duty steel with hard wearing handles, a crane lifting point and rugged all terrain wheels. Air compressors are a worthwhile investment for any farmer. With a range of applications from machinery and tool operation to inflation, an air compressor needs to be consistently reliable but doesn't need to be a highly expensive piece of equipment. 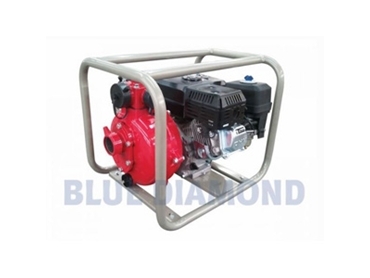 Blue Diamond stocks a variety of diesel screw and piston air compressors. The Denyo 70CFM diesel air compressor is a popular option for the farming market. This machine is low noise heavy duty unit suited to a range of jobs. The Airman 90 CFM is another efficient and economical unit and an optimum choice for farmers. Able to be installed in any shed or warehouse area, pallet racking is a convenient and cost effective way to increase your storage areas. Blue Diamond pallet racking is strong, simple and highly customisable and available at a budget price. Blue Diamond also stocks a range of easily adjustable, long span shelving for items not suited to pallet storage.